We design Playground Rocker that is highly appreciated in the crèches, play schools, kindergartens and many other places. Available in a variety in sizes, colors, our Children's Playground Rocker can be customized as per different needs of the clients. 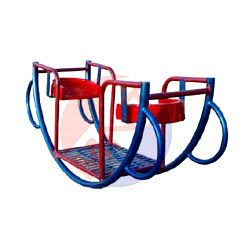 Today, we are counted among the key Spring Playground Rocker Manufacturers and Suppliers, based in India. We are engaged in offering our clients Kids Sitting Rockers that are appreciated for their longer service life. Our products are designed in a manner so as to appeal to the kids. The professionals make sure that these are painted in various colors and designs as per the requirements of our clients. 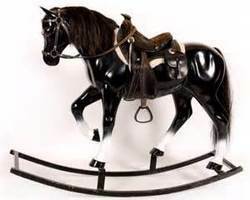 Our Kids Horse Rocker are designed for small kids and are safe for them. There are various holding areas and belts to hold the kid tight to the horse. We make sure that the range is in compliance with requirements of our clients and are offered at market leading prices. MODEL : MNT PI .09.A(ROCKER-1 kid)CAPACITY : 1 kidL X W X H : 3 X 2.0 Ft. X 2.0Ft.Material used in the ride:Seats : FRP body good auto motivepaints.